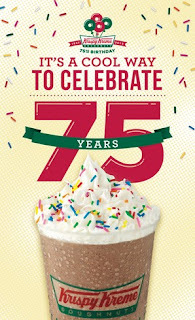 As Krispy Kreme turns 75 flavorful years this 2012, the world-famous doughnut and coffee brand continues to tap the taste buds and heartstrings of more and more people while sharing and celebrating delicious tastes and fond memories. Spanning more than 690 shops in 21 countries, Krispy Kreme has been exciting the world with distinct confectionery experience brought by its delectable variety of doughnuts, baked goods, and coffee. Hence, it wasn’t a surprise to witness how the brand touched the hearts and tickled the palates of Filipinos when it arrived in the Philippines six years ago. And as it continues to successfully expand in the country, Krispy Kreme is bringing everyone more reasons to smile—not only with its mouth-watering delights but also with projects that resonate with the lives of their valued customers. How exactly does Krispy Kreme aim to do this? One, by helping its 12 partner charities—12 organizations that care for the environment: ABS-CBN Foundation Inc. – Bantay Kalikasan and Philippine Native Plants Conservation Society Inc.; creativity: Cultural Center of the Philippines, Visual Arts and Museum Division; lives: Caritas Manila Inc., Philippine Red Cross, and ICanServe Foundation Inc.; our animal friends: Philippine Animal Welfare Society; and of course, kids:Operation Smile Philippines, Kythe Inc., Development and Accessibility Fund for the Deaf Inc., Autism Society Philippines, and Friends of Hope Inc. Being a remarkable doughnut and coffee brand that humbly upholds the value of ‘sharing’, Krispy Kreme extends this good deed by calling everyone to work hand-in-hand towards change. With every purchase of the brand’s 75th Birthday Tin Can, P20 goes to these partner charities, which translates every purchase to doing good, bringing smiles, creating change and spreading joy in the most enjoyable and delightful way possible. Keeping up with its 75th birthday celebration, Krispy Kreme will also be rolling out fresh products, bringing more options and reasons for its customers to delight in the one-of-a-kind goodness brought by doughnuts and coffee. From July 11 to August 19, the brand will be launching its birthday treats for everyone—the Krispy Kreme Birthday Doughnuts and the Krispy Kreme Birthday Chiller. Infused with such melt-in-your-mouth joy, the White Chocolate Iced Glazed, Dark Chocolate Iced Glazed, and Strawberry Iced Glazed Doughnuts are iced glazed rings with rainbow sprinkles and a generous dollop of white cream finished with a cherry. Meanwhile, blended with refreshing goodness, the Birthday Chiller is an iced chocolate drink with sprinkles made even more special with Hershey’s Dark chocolate. To further the celebration, from July 11 to August 8, anyone who purchases a Dozen Assorted with any of the Birthday Doughnuts, then coupled with one Birthday Chiller of any size in a single transaction will be entitled to one raffle coupon. This raffle coupon, which will be drawn with all the others on August 10, gives a customer a chance to win 12 VIP tickets to watch Saltimbanco by Cirque du Soleil at the SM Mall of Asia Arena on August 17. In addition, Cirque du Soleil will be giving discounts for tickets acquired at Krispy Kreme stores upon purchase of a Dozen Assorted coupled with a Birthday Doughnut. And because Krispy Kreme cannot get enough of sharing the gift of joy and bringing people more reasons to smile, from July 13 to 31, everyone will be able to grab a special bundle of an Original Glazed Doughnut and an 8 oz. 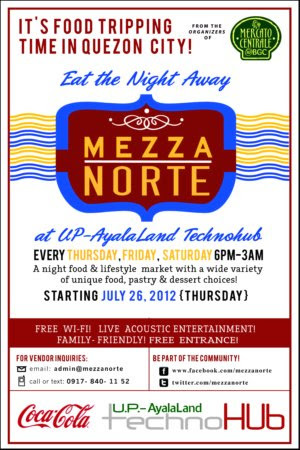 cup of Signature Coffee for only P75! Also, if you’re 18 and above, Krispy Kreme’s iconic paper hat could be your ticket to globetrotting fun! Get a chance to win a trip for two to any Krispy Kreme location in the world simply by taking a photo of yourself wearing our paper hat and then submitting your entry to HatHatHooray.com. Just drop by any of our Krispy Kreme stores to get a paper hat or visit our website to download one and see the official contest rules and regulations. 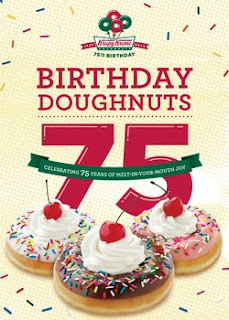 The birthday blowout doesn’t end here, because Krispy Kreme’s birthday treats are set to go beyond just bites and sips, as it will also be rolling out 75th Birthday merchandise, which includes caps, mugs, white shirts, stainless tumblers, ECO bags, and of course, the 75th Birthday Tin Cans. How are all of these for more and more reasons to smile? As it continues to uphold its name and etch its flavors in our hearts, Krispy Kreme is on the move to make it easier for everyone to experience melt-in-your-mouth joy with such fresh offerings and new stores — continuing to expand its reach to satisfy the tastes of doughnut and coffee enthusiasts across the country. For more information on their birthday + updates on their latest products, simply visit the Krispy Kreme Website + follow the Krispy Kreme Facebook Page. You may also visit any of their 33 branches nationwide, + start with the hotlight stores found in SM Mall of Asia, Greenhills Shopping Center, Festival Supermall Alabang, Bonifacio High Street and Cebu IT Park. 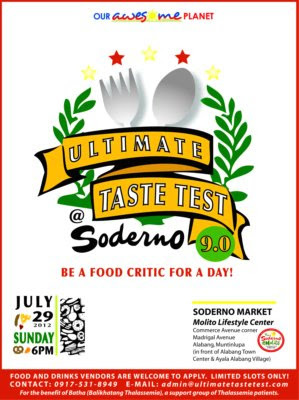 This entry was posted in announcement, desserts and tagged doughnuts, Krispy Kreme on 18.July.2012 by admin.